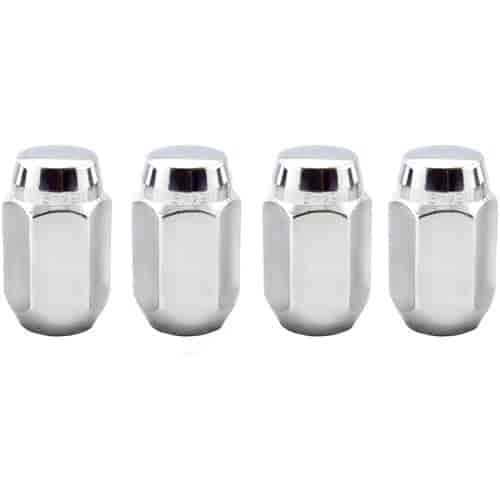 The Wheel Group 5400-4 - 2-Piece Safety Conical Lug Nuts Thread: 1/2"
Does McGard 64000 fit your vehicle? 64000 is rated 5.0 out of 5 by 4. Rated 5 out of 5 by KarlB from great value showed up on my doorstep faster than expected, fit like a glove on my ford ranger...awesome ,durable finish!! LUV JEGS!! Rated 5 out of 5 by 3030 from American made! I got these for my Wrangler, look good and well made. Rated 5 out of 5 by Templar50401 from One Piece! Much better choice than the parts store "capped" chrome nuts which fall apart. Will these work with Jegs brand sport star wheels? This lug nut is compatible with the Sport Star wheel.